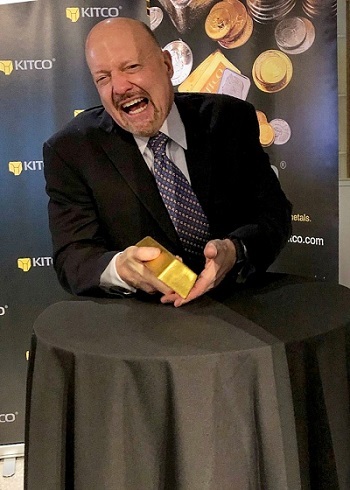 (Kitco News) - Gold is the answer for those worried investors who fear the volatility in the stock markets and slowing global economic growth, said Mad Money’s Jim Cramer. 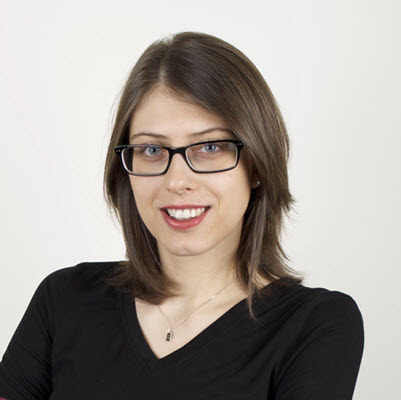 “We know gold is the winner in times of chaos and uncertainty, so if you are feeling a little bit worried about your portfolio, you might want to buy [gold,]” he said last week. Cramer’s top picks when it comes to an investment in gold are: the GLD [SPDR Gold Shares (AMEX: GLD) — the world's largest gold-backed exchange traded product], gold mining ETFs, or the new Barrick Gold. Cramer added that he likes the merger between Barrick and Randgold Resources Ltd., which was first announced in September and has since been approved by shareholders of both companies. “I like the merger very much, now that Mark Bristow is in charge,” he said. For the “prudent” investors, Cramer recommends waiting until Barrick reports its first quarter results as a combined company. The newly formed Barrick Gold Corp. began trading at the beginning of January with a market capitalization of nearly $24 billion. This pro-Barrick outlook is a shift for Cramer, who advised to sell Barrick and buy GLD back in July. 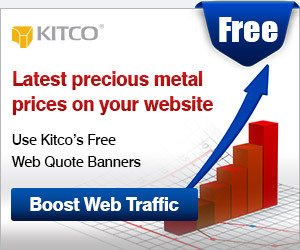 Gold has been holding right below its key psychological barrier of $1,300 an ounce following a strong close to 2018. February Comex gold futures were last at $1,294.00, up 0.02% on the day.